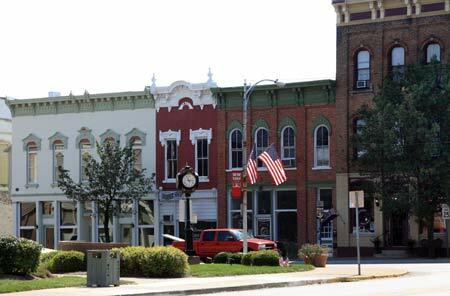 Mechanicsburg is a small town located about 7 miles southeast of Urbana. The town was founded in 1814 and was the hometown of William Saxbe, Senator, U.S. Attorney General, and Ambassador to India. Mechanicsburg derived its name from a love affair between a Shawnee princess and an American militia captain. During the days leading up to the War of 1812, a force of American militia and regular army led by General Hull marched on Detroit. As the force moved from southwest Ohio north, they set up camp near Darby Creek where a tribe of Shawnee were living. Captain Culver, one of Hull's mechanics, met Wawanita, the daughter of Chief Ohito and in short time, he fell in love with the young woman. As the army prepared to move on to Detroit, Culver promised Wawanita that he would return. This military force was doomed to failure because of Hull's fear of Indian reprisals because of his harsh dealings with the Native Americans in the northwest territory. Having secured Fort Detroit, Hull, aware that the area was filled with Native Americans, refused to push his engagement against the British. In just a few days, his position became surrounded by over 500 warriors. After a brief cannonade by British forces, Hull surrendered the fort, and his men, to the protection of the British. Hull and his 600 regulars were shipped off to Quebec. The remaining 1600 militia and volunteers were paroled home when they promised not to re-enter the war. Captain Culver was one of those released. When Culver returned to Chief Ohito's village, he found they had moved, but Culver and his friend John Kain decided to layout a town. As the two men were laying out the new village, Wawanita returned to the village as she often did looking for her lover to return. Together the three of them built a cabin where Chief Ohito's camp once stood. As they continued laying out the town, the men asked Wawanita what the name of the new town should be. Her answer: Mechanic! "Mechanic" was the only English word that Wawanita new: the name she called her lover. Both Culver and Kain agreed on the name and added the word "burg" to the end, thus originated the town of Mechanicsburg. Today, on the site of Chief Ohito's camp is the Beans-n-Cream, Historical Coffee Corner. 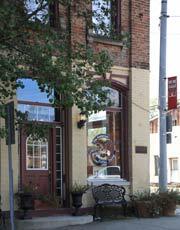 This historic corner of Mechanicsburg was the place where John Owen built a log cabin and operated a general store. Later the site was occupied by a bank, the Darby Hotel and the Anderson Inn. In 2002, part of the old hotel was renovated an is now the site of Beans-n-Cream. The Fugitive Slave Laws enacted by the US Congress allowed federal marshals to arrest slaves that had escaped to the North and take them back to their southern owners. They could also arrest northerners suspected of aiding runaway slaves. It was from these laws that sympathetic abolitionist formed a loose network of like-minded people to help these escaping slaves make their way to Canada and freedom from their oppressive condition. This network would become known as the Underground Railroad. Mechanicsburg was one stop known to many as being able to provide a safe haven on the Underground Railroad. The small town of Mechanicsburg gained national attention in August 1856 when an escaping slave named Addison White sought refuse. His capture by federal marshals led to an armed conflict between local residents and the marshals. A number of escaping slaves did not trust the Underground Railroad and decided to trust their fate to their own wits. Addison White was one of those. How these escaping slaves knew where they might find safety is not known, but in Mechanicsburg Ohio, they did. While many areas became centers of abolitionist activities due to religious influences, Mechanicsburg was not one of those. It was more of a philosophical position that led the townspeople to become one of the most noted stations on the Underground Railroad. 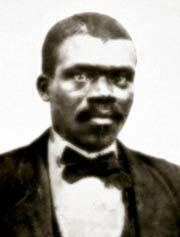 Addison White was an escaped slave who arrived in Mechanicsburg in August 1856. There he met abolitionist Udney Hyde and stayed at his farm while Hyde recovered from a leg injury. Meanwhile, White's owner Daniel White, learned of his location and went to Mechanicsburg in April 1857 with federal marshals. When attempting to take Addison and arrest Hyde on grounds of violating the Fugitive Slave Law, Hyde's daughter ran to town and brought back residents with pitchforks and shovels to fight the marshals. Fearing for their lives, the marshals left, but came back to arrest the men who protected White including Charles Taylor, Edward Taylor, Russell Hyde, and Hiram Gutridge. The marshals said they were taking the men to Urbana for a preliminary trial on charges of harboring and protecting a fugitive slave. Instead of going to Urbana, they headed south to Kentucky. Learning of the arrests, a large number of Champaign County citizens set off on horseback to free their neighbors. The Clark County sheriff joined in the pursuit, but was shot near South Charleston when trying to stop the marshals. The running battle ended in Lumberton near Xenia where the Greene County sheriff arrested the marshals. The case was finally settled when the people of Mechanicsburg paid $900 for Addison White's freedom. During the Civil War White joined the 54th Massachusetts Infantry and returned to Mechanicsburg after the war to work for the city's Street Department. He and his second wife Amanda are buried in the nearby Maple Grove Cemetery. Mechanicsburg resident, Udney Hyde, was an unlikely conductor on the Underground Railroad. Hyde came to the conclusion that there was no difference between blacks and whites as he watch a group of sheep. He observed that the black sheep cried out when separated from their baby lambs just as the white sheep did. This 1851 observation led Hyde to believe that blacks were no different than whites and deserved all the help he could muster to deliver them to freedom. He then began using his farm as a stop on the Underground Railroad, and personally carrying escaping slaves further north.